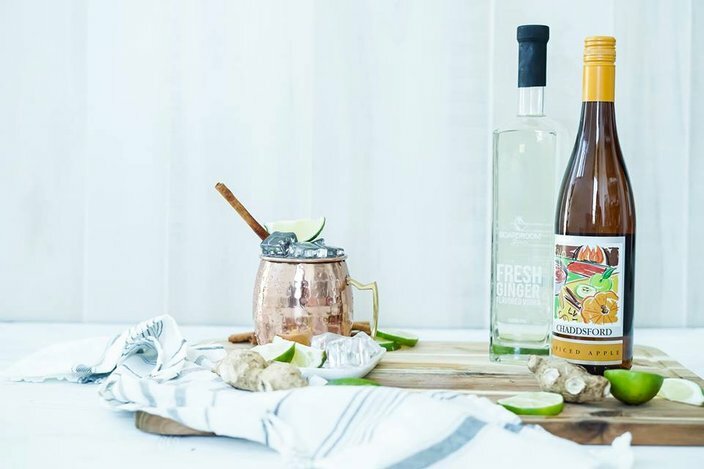 Chaddsford Winery and Boardroom Spirits together make a festive fall take on the traditional Moscow Mule. What better way to stay warm this fall than with a cocktail featuring the best flavor of the season, apple? Now that it is officially a reasonable time to imbibe on pumpkin beers and drink seasonal coffees, it's also time to up your cocktail making game. Why not do it while also buying local? Below you'll find four powerful cocktails that can be made with alcohol from Philadelphia-area vendors, all of which are unmistakably fit for autumn. 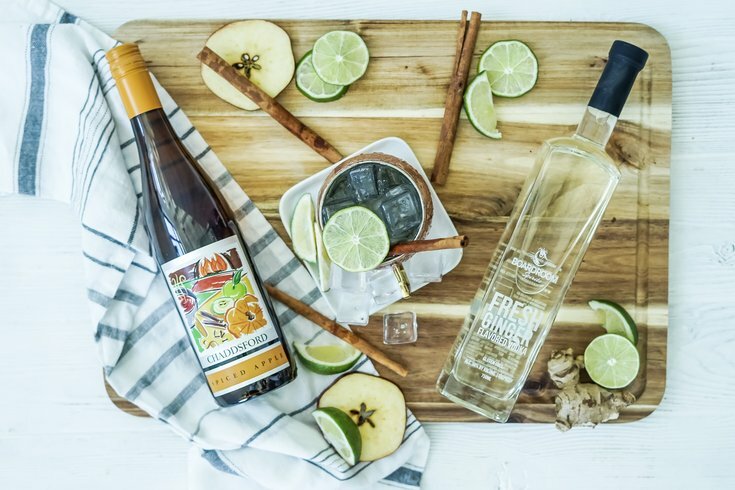 The Spice Apple Ginger Mule made with ingredients from Chaddsford Winery and Boardroom Spirits. 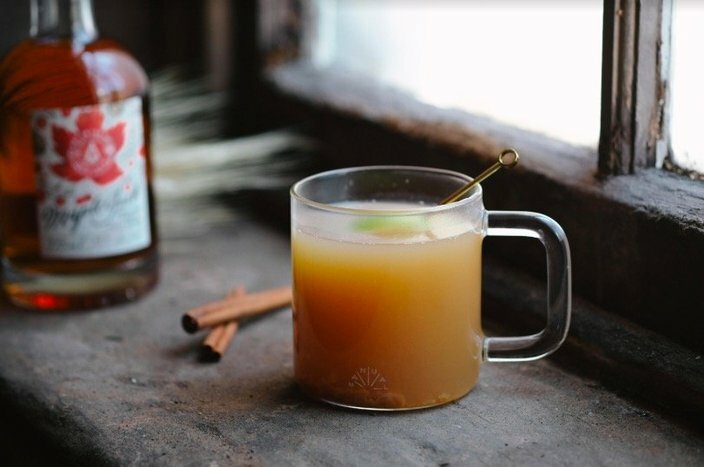 When a plain, old Moscow Mule just isn't doing the trick in terms of festive flavor or alcohol content, sub in cinnamony, sweet apple wine and extra ginger flavor to fill the void. Just make sure not to drink out of a totally copper cup. Recipe: Add 2 oz. apple wine and 1 oz. ginger vodka to your cup before filling the rest with crushed ice and ginger beer. Stir and garnish with a lime wedge and cinnamon stick for extra fanciness. Check out more on this recipe here. The Candied Apple cocktail made with ingredients from Art in the Age. Now that you've tried apple wine, it's time to return to the tried and true autumn classic: cider. For a drink that doubles as dessert, try this deceptively sweet cocktail made with liquor created with local maple syrup. Recipe: Mix 1 oz. of Maplejack with .5 oz of brandy and 4 oz of apple cider. Add cinnamon bitters and a caramel apple slice to fully complete the drink. The Apple Shrubtail using ingredients from Quaker City Mercantile. For a less sugary version of your typical apple cider cocktail that's just as sweet, Quaker City Shrubs offers an alternative to ciders and spiked seltzer that still palatable and easily drinkable for non-beer drinkers (and they're only 90 calories). The apple shrub (other flavors include blackberry and grapefruit) is made with a dash of apple cider vinegar. Recipe: Mix 3/4 oz. whiskey with 1/4 oz. lime juice and top with Apple Shrub. 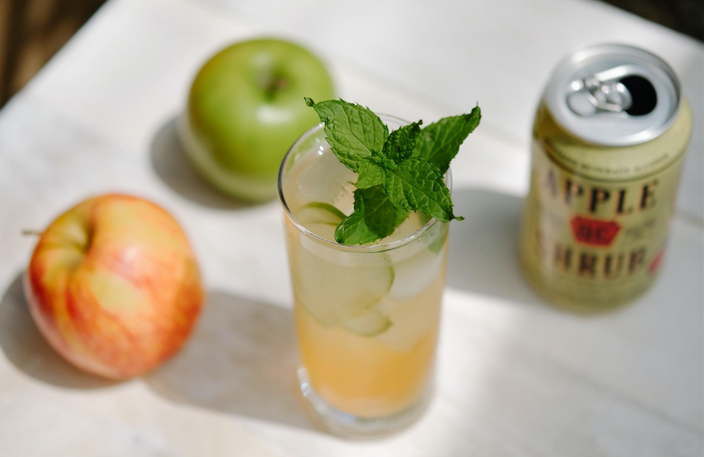 You can add bitters for extra taste, or just top it off with apple slices and mint for garnish. 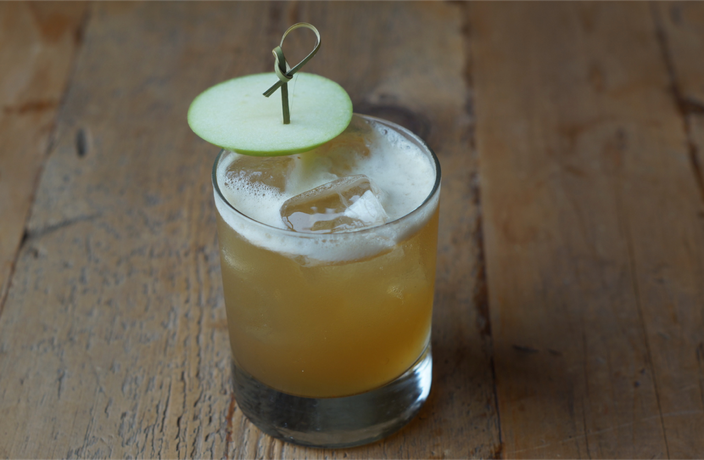 The Apple a Day cocktail made with ingredients from Bluebird Distilling. Another take on the apple cider cocktail pairs cider with Pennsylvania whiskey for a straightforward (i.e., easy to make) drink that'll please any party guests. You'll notice the rye whiskey has natural notes of brown sugar, vanilla, caramel, and spices that don't call for a ton of cocktail add-ons. Recipe: Mix 2 oz. of whiskey with bitters as desired. Add apple cider and serve on ice with an apple slice or cinnamon stick for extra spice.